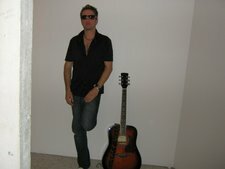 singer-acoustic guitarist seeking to join or form serious acoustic based rock band!..have been playing/singing off and on now for 14 years..verry dedicated and willing to travel for out of town gigs..the past few years I have been doing alot of busking,coffe shops/ and playing at local open mic nights,getting my voice and chops in shape..latley i have been doing alot of writing so I do have some good material to offer!...I grew up listing to harder type music like black sabbath,ozzy,motley,mettalica e.t.c, but my musical direction is more based on the likes of blue rodeo,eagles,u2, with a new age touch!. I have some rough demo songs you can check out if you want via, myspace.com/trevor holmes. i've just returned from spending the summer in toronto working on new songs and idea's with other musicians i know from there, so i have alot of fresh idea's and songs to get recording with.